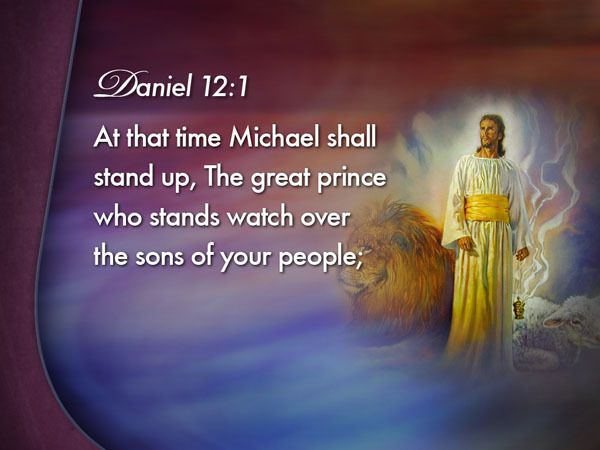 A comparison with Dan 11:20-21 teaches us that this "stand up" has the meaning become king. The scope of the term corresponds to what is stated inDan 2:44 and 7:14 about the coming in his kingdom of the Son of Man. 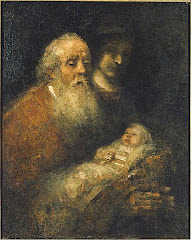 And she gave birth to a son, a male child who is to shephard all nations with a rod of iron; and her child was caught away to God and to his throne… And war occurred in heaven. Michael and his angels waged war with the Dragon. And the Dragon and its angels waged war, and it had not strength, nor was found place anymore for them in heaven. And the great dragon was cast out, the ancient Serpent, who is called Devil and the Satan, the deceiver of the whole inhabited earth - he was cast into the earth, and his angels were cast with him. And I heard a loud voice in heaven, saying now occurred the salvation and the power and the kingdom of our God and the authority of his Messiah, because the accuser of our brothers, who accuses them day and night before our God was cast. Andthey overcame him by reason of the blood of the Lamb and by reason of the word of their testimony, and they did not love their soul unto death. The heavens and those who have their residence there, be glad for this. Woe for the earth and the sea! Because the Devil came down until you, having great fury, knowing that he has short time. In the heavenly places, especially in his fight against the demons, the Son of God is referred to as Michael, but in the earthly sphere he is the LordYeshua, Elohim's Son. 19:12-16 >> The men said to Lot, “Do you have anybody else here? Sons-in-law, your sons, your daughters, and whoever you have in the city, bring them out of the place: for we will destroy this place, because the cry of them is grown great before Yahweh. Yahweh has sent us to destroy it.” Lot went out, and spoke to his sons-in-law, who were pledged to marry his daughters, and said, “Get up! Get out of this place, forYahweh will destroy the city.”… The men laid hold on his hand, and on the hand of his wife, and on the hand of his two daughters, Yahweh being merciful to him. Behold, I send an angel before you, to keep you by the way, and to bring you into the place which I have prepared. Pay attention tohim, and listen to his voice. Don’t provoke him, for he will not pardon your disobedience, for my name is in him. Because of his extensive involvement in the affairs of God's people Israel, it is a matter of course that precisely this angel, the angel of Yahweh, contended with the Devil about Moses, Israel's leader. 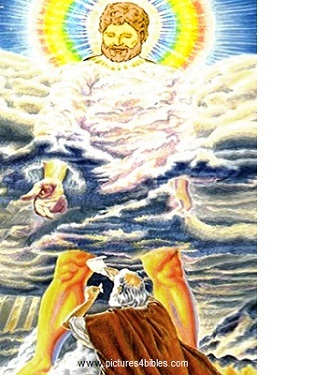 And as we noticed already, as is revealed in Jude 9, that angel was thearchangel Michael, none other than God's most principal Son. He lifted up his eyes and looked, and, behold, there stood a man over against him with his sword drawn in his hand: and Joshua went to him, and said to him, Are you for us, or for our adversaries? He said, No; but I have come now as commander [Hebrew: sar; prince]of Yahweh’s army. Joshua fell on his face to the earth, and did worship, and said to him, What says my lord to his servant? The prince of Yahweh’s army said to Joshua, Put off your shoe from off your foot; for the place whereon you stand is holy. Joshua did so.